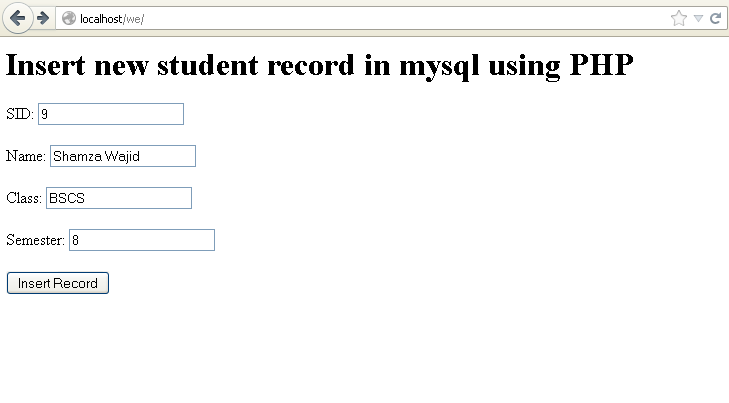 This post will help you learn the basics of how to insert records into MySQL using PHP and HTML forms as well as displaying records in table from MySQL using PHP. The code given below is simple to use and understand. You may also download the source files below.